When a child is diagnosed with a disability many parents seem to go on a quest, a quest to find a cure. There isn’t a lot of time to sit and worry about the future but a need to research and read as many books as possible to find the answers immediately. Once the initial “cure” phase ends, a more realistic phase begins. This phase emphasizes that, “OK, my child has a disability that cannot be cured what should I do now?” There is a sense of acceptance and the “curing” idea goes away while the idea of having your child progress into an incredible, functional person steps in. For many children with severe disabilities, the road ahead seems unattainable but there is so much technology available that even the most challenged can still achieve unbelievable goals. Parents with special needs children don’t always get to drive their kids to soccer practice or dance recitals. Instead they spend their time at therapy sessions and doctor appointments. They spend their days redirecting their children with picture schedules and motivators. Parents can get really stressed by the daily challenges and they need to consider their health both medically and emotionally. I chose to see a therapist when my son was five years old. I needed someone to talk to outside the home that had some experience working with disabled individuals. It was such a blessing to be able to talk to someone even if I had to vent about the negative aspects of my life. I was given compassion and suggestions which really helped. The internet can also be a form of therapy. There are many forums or blogs that you can join to communicate with other caregivers and learn how they cope with the daily challenges or have an opportunity to share experiences about your child. Many times you feel isolated. Family members and friends don’t completely understand your world. Reach out and find help. Even if you think you are handling things well, most likely you are still really stressed. You need to stay strong for you and your child. Many families that have a special needs child will have to make the decision of whether their child should receive an Individualized Education Plan (IEP). An IEP is a plan created specifically for your child with a set of goals. The purpose of the plan is to try to reach the academic goals in a specific time period such as each quarter of the school year. An IEP is a great way to assess your child’s academic progress when typical grading does not apply. However there are some issues with the IEP process. The IEP is developed by a team which is made up of teachers, therapists, social workers, school psychologists and anyone that has been working with your child. You as a parent are also a member of this team. 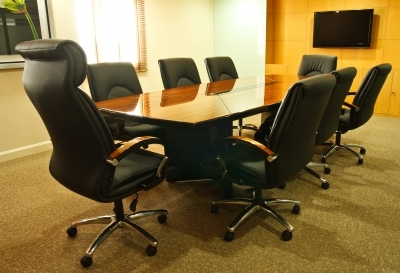 The goal is for all of the team members to sit down and discuss the IEP and determine the best route for your child. Unfortunately many schools do not give the parent an opportunity to be a team member and the parent’s thoughts do not always coincide with the other team members. This occurred in similar situation with my son. I had documentation from a physician and other private therapists that he was on the autism spectrum but the school would not accept his diagnosis. The school psychologist stated he was not “autistic” but had obsessive compulsive disorder and oppositional deviant disorder. My son’s doctors and therapists never mentioned either of those disorders and they used the school records to determine his autism spectrum disorder diagnosis. The school team decided that the best place for my son would be a therapeutic school for the emotionally disturbed. I would not accept that placement and I pulled him out of the school and homeschooled him for a year. I decided to put a complaint against the school. The State Board of Education decided that the school did not allow our records to be considered when creating the IEP. The school was required to do another evaluation and somehow after this evaluation my son was now diagnosed with autism spectrum disorder. Sometimes you need a little outside help to persuade the school to do the right thing. My son is now in a therapeutic school for autism spectrum disorder which is exactly where he should be. An IEP is very beneficial in documenting academic goals and progress. It includes other necessities such as social work, speech therapy and occupational therapy. I would recommend getting as much documentation on your child as possible such as physician and therapy reports. Any documentation that you have outside of the school district can really benefit you if you need to make a case against the school. Many schools do a great job during the IEP meeting and are very accommodating when it comes to children’s educational needs. You just need to be prepared and make certain that your voice is heard and that you are a part of the team that decides your child’s education. For more information on how I handled my son’s IEP, you can read more in my book, Hope Is Within Reach: Overcoming the Challenges of Autism Spectrum Disorder. Is Camping an Option for Our Family? 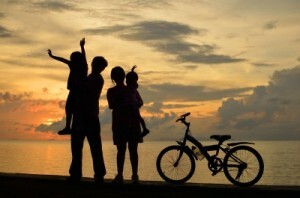 Many families would love to plan a vacation or a weekend getaway for their family but financially it may not be a possibility. Camping can be a great experience for children of all abilities. They can enjoy nature and learn how to roast marshmallows over a fire. It is a great way for families to spend time together and get away from the television and other electronics that seem to have taken over everyone’s lives. 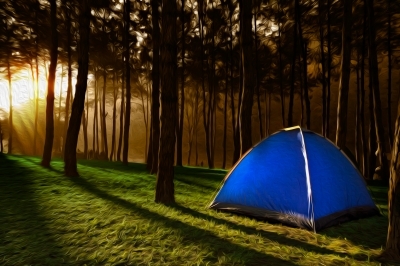 There are many national parks and forests that offer camping sites at economical prices. Many of these parks offer primitive sites, which have no electricity, or sites for recreational vehicles with hookups for water and electricity. Tent camping is the least expensive option but you definitely need to be more creative when planning. You will need to bring along an inflatable air mattress because the ground can be cold and uncomfortable. Also remember to check the weather and if there is any possibility of rain you must have a tarp to cover your tent and ideally a tarp under your tent because waking up lying in a puddle is not fun. All primitive camping sites are without electricity which for some can be a bit intimidating. It definitely takes more planning how to keep food fresh but a cooler full of ice and a few trips to the nearby grocery store will make your trip work. Some families choose to camp in a tent but go to a site with electricity. This will reduce any worries if you need to bring along items that require electricity. Camping in an RV is like bringing your home with you to different destinations. An RV can cost anywhere from a few thousand dollars up to hundreds of thousands of dollars. You must consider the vehicle you plan to take on your camping trips because many have a weight and tow limit. You will need to install an appropriate hitch to your vehicle which will be an expense you will need to consider. One of the benefits of an RV is when bad weather occurs you do not need to worry about your bed or other items becoming wet. Another benefit is that most RVs are equipped with a fridge so one trip to the local grocery store should be enough when planning meals. One of the cons of an RV is that it is a vehicle and it does require maintenance and things can go wrong, such as the time we arrived to our site and tried to put the camper up and it would not rise. We had a maintenance man from the campground try to help us but nothing worked. We had to return home. Another time we had issues with the electricity. We figured out the problem after a couple of hours but it added a lot of stress to our trip. We started camping in a tent when it was just me and my husband then we gradually upgraded to a small pop-up camper that cost around $3,000. This was a basic model with no air-conditioning or heat but could sleep up to four people. It had no fridge but we just brought a dorm-style fridge with us. When our children arrived, we upgraded to a larger pop-up camper with air-conditioning, a heater, fridge and sleeping up to six people. It has a dining area that turns into a bed and is great for having meals and playing games with the kids when the weather turns bad. Camping can be such a great adventure for kids and adults. It can be a less expensive option but still offer a lot of fun for everyone. For more information on camping, you can contact your local national park or local RV dealer to see if camping could be an option for your family. Over the years autism has struck our family with many challenges. From the meltdowns and the sensory overloads to the continuous therapy and doctor appointments, but the one thing about my son that I absolutely love is the affection he shares. Nearly every morning I wake up to an amazing 10-year-old boy that says, “I wuv you Mommy so much. You are so beautiful.” I am so thankful for his kind words but I think, “Really with my sweats, t-shirt and disheveled hair?” I take his words with gratitude and a hug. My son has always been affectionate even to complete strangers like the when he was three years old and the plumber fixed our kitchen sink. The poor man found a young child attached to his leg and looked completely dumbfounded what was happening. Then there was the time that his social worker in the public school came back from a skiing trip with a broken leg. She shared that my son was trying to help by moving the crutches for her, good intentions but he was trying to do it while she was using them. The wonderful moments sometimes come less often then the meltdowns and the overloads but it’s amazing that it’s those wonderful moments that I remember most. With Spring Break fast approaching and summer thankfully just around the corner, many families are getting their maps out to decide where to plan their vacations. My son has autism spectrum disorder and we must make good choices when planning things to do on vacation. He does so much better when he has a schedule that shows what is happening for the day. Gone are the days that we can just hop in the car and wherever we stop is where we will stay. One vacation we went hiking in Colorado and my son was so stressed because all he could see was a trail that seemed to go on forever. In fact that’s what he said, “We are going to be walking for days.” I was so surprised by all the resistance and complaining. He was very worried about how long we would be walking. The scenery was absolutely beautiful but for him he was not interested in the scenery only how long he would be on the trail. So I began setting time limits on our hikes and he seemed more comfortable when he knew that it would come to an end after a certain amount of time. Many children on the spectrum need a clear beginning and an end to tasks. To them the task seems to last forever and that becomes their focus. I decided to create a picture schedule to reduce my son’s anxiety. 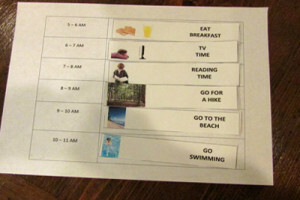 He was using picture schedules at school and therapy so it seemed appropriate to try it for vacation. My husband and I sat down and talked about some of the things we wanted to do and I found pictures on the internet that represented those activities. I created a schedule board by using a small dry erase board but a sheet of computer paper would work also. I invested in a laminator to help preserve my pictures but you can pick up a roll of clear shipping tape and that would work just as well. You just want to make the pictures sturdy enough to withstand being removed from the schedule board. I used Velcro circles to stick the pictures to the schedule. The schedule board worked well and my son enjoyed putting on the pictures and planning our day. Our family typically takes trips that are closer to nature because my son has many sensory issues and we have found that staying in a cabin makes him more comfortable. We always try new activities on vacation just to expose our children to different things but we are prepared to make changes if our son with autism reacts negatively. Families with special need children have more to think about when planning a vacation, but that should not deter you from spending time with your family. So many travel destinations have become more aware of those with special needs and are providing special accommodations to ensure that you can have wonderful memories with your family. Can Homeschool Really Be an Option? Homeschooling is definitely a personal choice and it takes a lot of time and commitment to your child. Some people choose to homeschool based on their faith, but others like me found it as an alternative to the deficiencies in the public school system. I was put in the difficult decision to homeschool because my son, who is on the autism spectrum, was not receiving the appropriate services and the school district refused to accept his autism diagnosis. Homeschool was never even a thought until I had to choose between the school system and my son. My son won! I only homeschooled for a year until we fought the school and was able to get our son into a private school for special need children paid by the district. I learned so much about my son in that year’s time, something I would have never known if he continued at the public school. He became a better person by learning at home. At the public school his self-esteem was plummeting due to the pressure to perform academically when he just couldn’t. He would come out of school every day saying he was a bad boy. I knew at that point that homeschool was our only option. Homeschooling is no longer unusual, there was a time when it was frowned upon and people thought those that were homeschooled were losing out on socialization. This has been shown to be false by many studies and in fact most children that are homeschooled have better grades due to the one-on-one attention. If you have an interest in homeschooling, the first step is to research your state and find out what is required such as documentation. Next is to research curriculum and choose what is best for your child’s ability. I found that purchasing different subjects based on the grade level my son was at not necessarily what grade he was in based on his age worked best for him. For example he was delayed in all subjects so even though he was in first grade he was performing mostly at a preschool level. I could not expect him to do the first grade assignments until he mastered preschool and kindergarten. One of my biggest mistakes of homeschooling was trying to replicate a typical school day. This did not work and it was frustrating for both of us. I found new ways of learning such as incorporating his interests or his toys and took a lot of sensory breaks to get through the day. The best advice given to me was to have fun and enjoy spending time with my son and once I started doing that I could see that has was learning and becoming more confident. I always enjoy spending time with my two sons, but I especially enjoy when I can spend some quality time with each one separately. My oldest son, Nolan, who is on the autism spectrum, attends a private school for special need children. And my other son, Joshua, attends a public school. Sometimes the boys have different days off due to their school schedule. This tends to create a little tension when Joshua knows his brother will be home all day while he has to go to school. But it all seems to work out especially during the summer when Nolan has school and Joshua does not. Nolan really enjoys our time together too. He always says to me, “It’s just me and you Mommy; it’s just me and you!” I have learned to appreciate these little compliments for what they are and enjoy the time we have to together. If you have an inspirational story to share please click on the “Contact” and write your story. Each Tuesday I will select amazing stories to post. Our family decided to attend a new church. We really wanted our kids involved with the church but waited until we felt they were mature enough to handle sitting and listening for a long period of time.